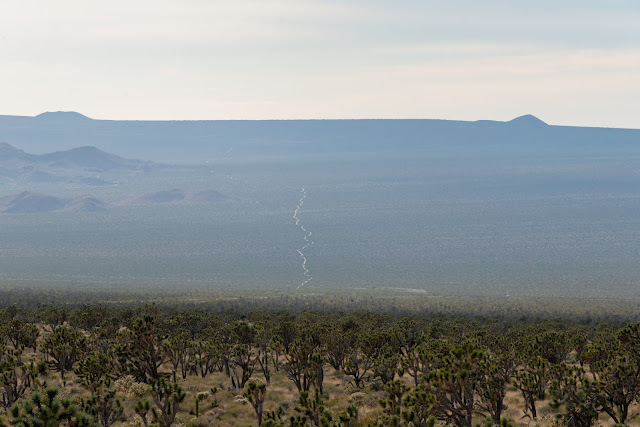 A view of the Mojave Desert toward Johnson Valley, taken from the Bighorn Mountain wilderness area. 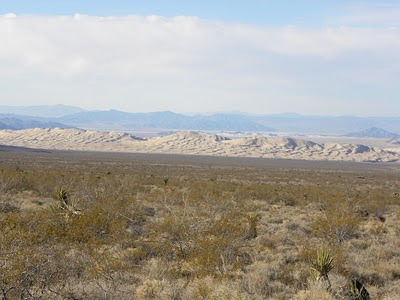 A view of the lava fields from atop Amboy Crater in the central Mojave Desert. Cady Mountains in the distance, with miles of creosote shrub habitat and bright yellow desert dandelions in bloom. This site is under threat by K Road Solar's plans to build a massive solar facility here. 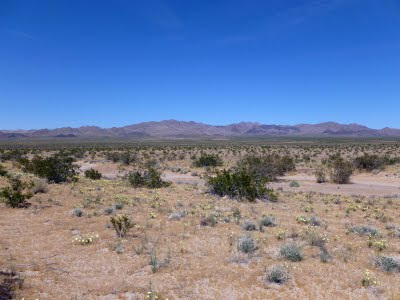 Metamorphic Hill stands over biodiverse desert habitat in the Ivanpah Valley (northeastern Mojave Desert). BrightSource Energy's bulldozers have already begun destroying this public land for their solar facility. 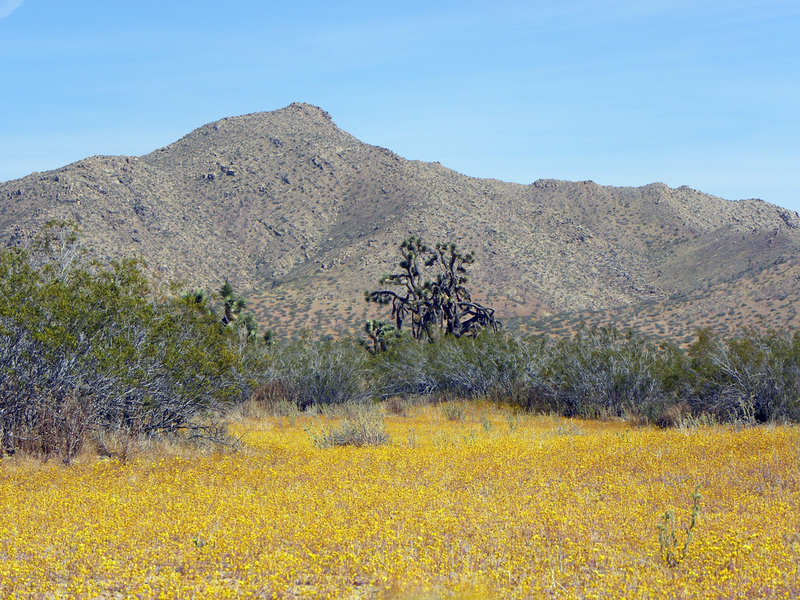 Saddleback Butte State Park in the western Mojave Desert, with goldfields in bloom. Desert sand verbena in bloom near the Amboy Crater, central Mojave Desert. 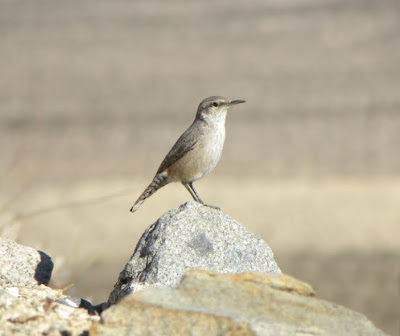 Rock wren spying on the photographer in the Bighorn Mountain wilderness area. An abandoned building along Route 66, the "Mother Road," in Ludlow. Joshua Tree woodland in the Mojave National Preserve. Cima Dome in the distance. 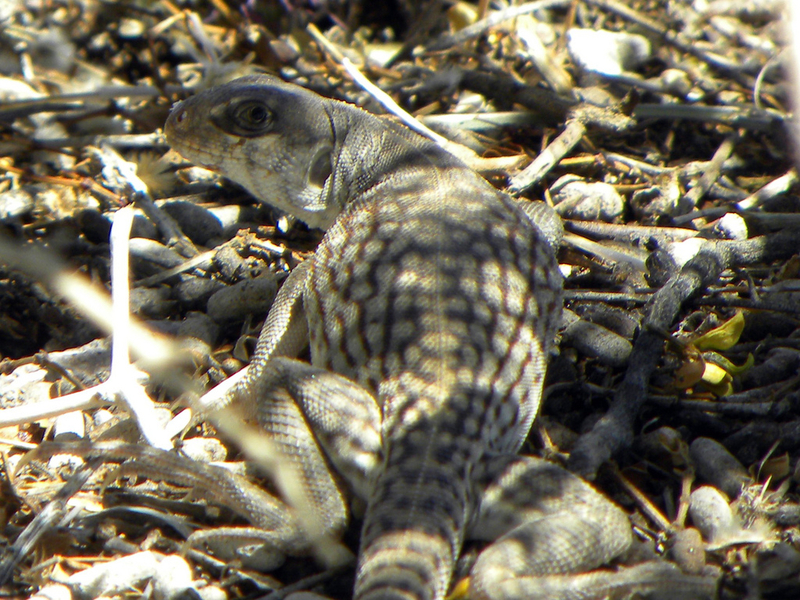 Leopard lizard in the shade of a creosote bush in the Bighorn Mountain wilderness area. The needles of a cholla cactus glisten with sunlight in the Mojave National Preserve. Granite Mountains in the background. 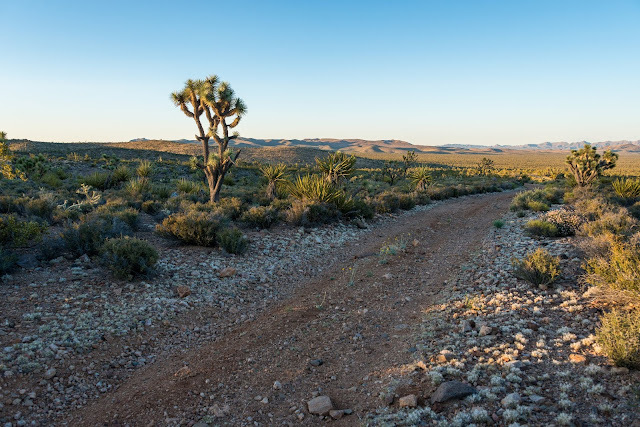 Route 66 in the central Mojave Desert. Indian paintbrush display brilliant red flowers in the Mojave National Preserve. 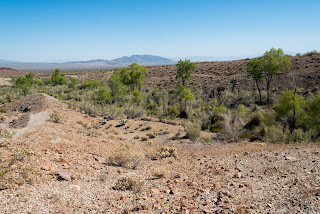 Creosote bushes carpet this part of the Ivanpah Valley stretching up to the Clark Mountains in the distance. 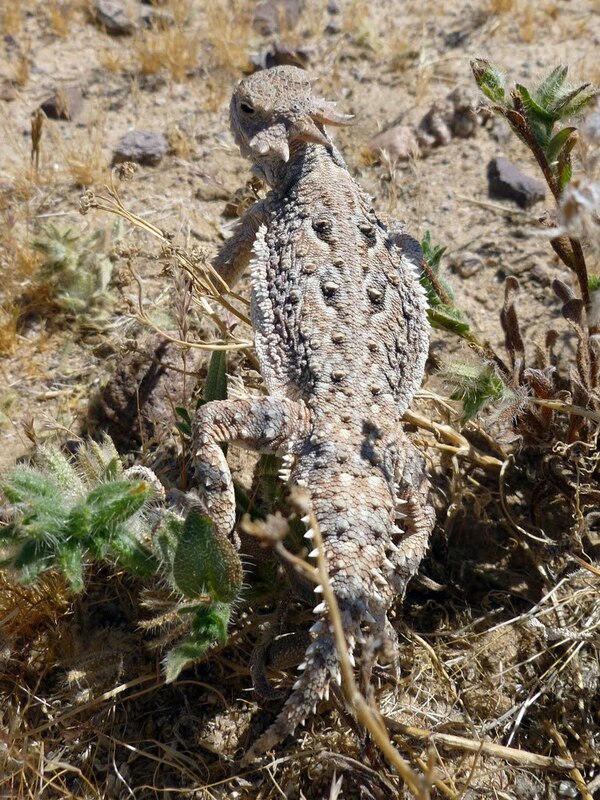 The BrightSource Energy solar project on this land is expected to kill or displace hundreds of desert tortoises. Dried grass sprouting from the Kelso Dunes. A horned lizard in the central Mojave Desert. 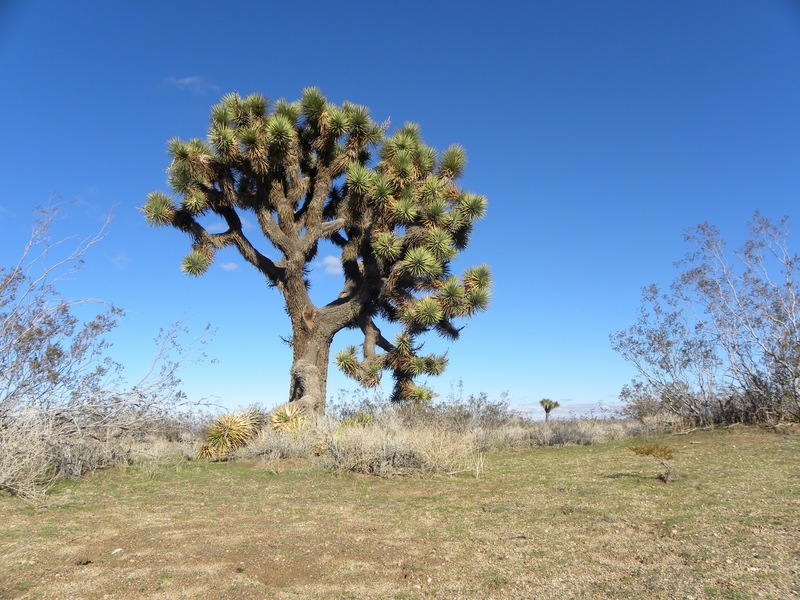 A large Joshua Tree in the western Mojave Desert, near the town of Adelanto. 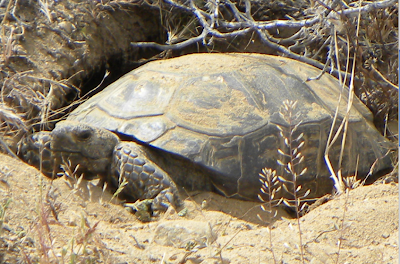 A desert tortoise busy excavating a burrow in the western Mojave Desert near Ridgecrest. The propose Solar Millennium Ridgecrest solar power project would doom this particular tortoise if it is approved. A bee visits lace-leafed phacelia in the Newberry Mountain wilderness area. The cream colored blooms of a Joshua Tree. Photo taken from the base of the Cady Mountain looking over the central Mojave Desert, with the Pisgah crater in the distance. Much of this area would be destroyed for K Road Solar's Calico Solar power project. The threatened Mojave fringe-toed lizard, which is especially adapted for sand dune habitat. 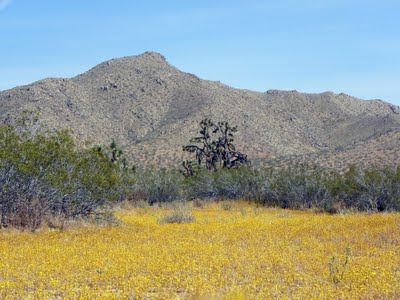 Prickly poppy (center), with bright yellow desert dandelions near a sandy wash on the site of the proposed Calico Solar power project. 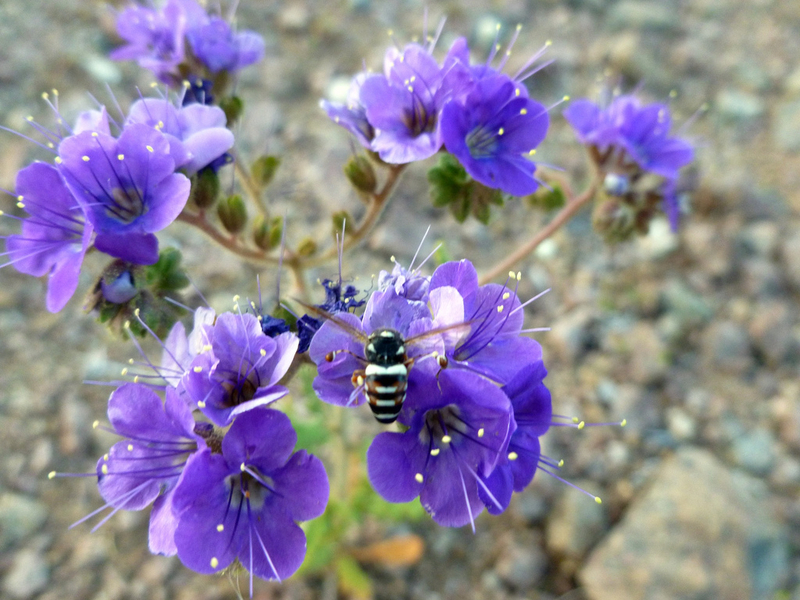 A desert wildflower (type unknown by the photographer) in the central Mojave Desert. 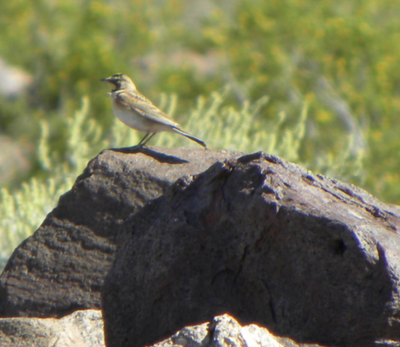 Probably a horned lark, perched on a rock in the central Mojave Desert. 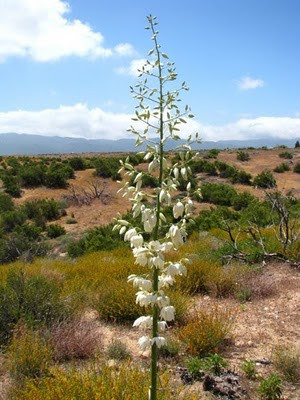 A flowering cactus on the site of the proposed Calico Solar power project.